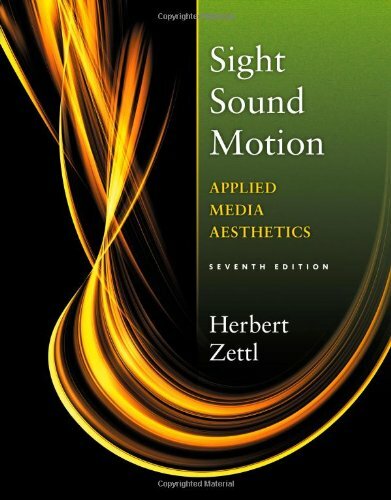 1133307353 -Media aesthetics have gained prominence with the dramatic advances in the digital technology of video and electronic cinema, making Herb Zettl’s SIGHT SOUND MOTION: APPLIED MEDIA AESTHETICS more applicable than ever. The seventh edition of SIGHT SOUND MOTION continues to be the most comprehensive book on the market, not only describing the major aesthetic image elements–light and color, space, time-motion, and sound–but also presenting in-depth coverage on how they are creatively used in television and film. Zettl’s thorough coverage of aesthetic theory and the application of that theory place this contemporary and highly relevant text in a class by itself. Richly illustrated and now presented for the first time in full color, this edition features strong visuals that often draw on traditional art forms, such as painting, sculpture, and dance.